Gambling expert Tony Valentine tackles the case of the small-town bettor who just can’t lose. 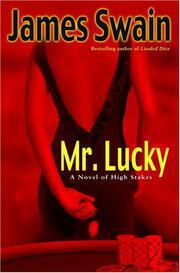 Minutes after miraculously escaping a casino fire, Ricky Smith walks across the street to the Mint and the mother of all lucky streaks. Borrowing 20 bucks from a retired bookkeeper, he pyramids it to $200,000 at blackjack, then scores equally incredible successes at roulette and craps before fleecing Tex “All In” Snyder, a world-class expert at Texas Hold ’Em. Ricky returns to Slippery Rock, North Carolina, a hero to the locals and a baffling puzzle to the Nevada Gaming Control Board, which wants Tony to figure out how Ricky’s been cheating. After his abortive attempt to help compulsive gambler Lucy Price (Loaded Dice, 2004), Tony doesn’t want to play with these boys again, but he can’t resist an offer of Vegas amnesty to his nogoodnik son Gerry, whose nice physician wife and baby daughter deserve better. Even so, Ricky’s lucky streak not only defies Tony’s best attempts to debunk it, but it just continues. He splits $50,000 with an old acquaintance on an instant-win lottery ticket, picks three horses at an OTB parlor, and narrowly escapes death twice with a little help from Tony. How can he be gaming every game in town, and what can Tony and a newly cooperative Gerry do to nail him? A wall-to-wall adrenaline rush as potent as a gambler’s high. Tony’s fifth is his biggest and just possibly his best.